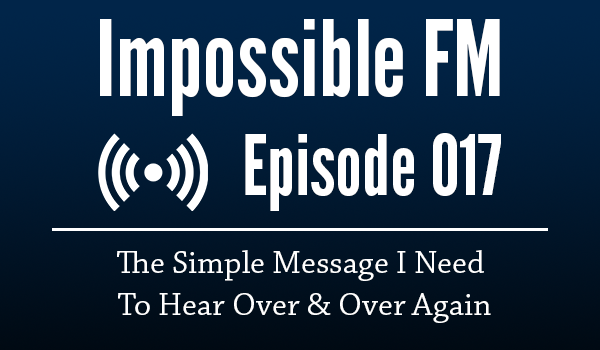 Today’s podcast is a short episode about a simple message I need to hear over & over & over again. We are hiring. Join us? Take The $25 Challenge – Donate $25/month here (this is less than $1/day). Become one of five to join the cause, take on your own impossible challenge, and commit to raising 5k. Email me here here if you’d like to join up. Tell a friend and share this link – https://impossiblehq.com/777.